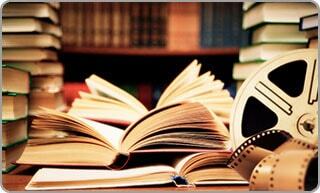 Book trailers are a form of advertising for books. They are similar to movie trailers in that they aim to pique viewers’ interests and provide a visually appealing introduction to a title. Creating a good book trailer requires creativity, careful planning and a basic knowledge of some ICT tools. Use the links below to learn how you can create your very own book trailer. Many images, audio clips and video clips available on the internet are copyrighted, which means you need permission from the owner to use these materials in your book trailer. If an image or clip is licensed under Creative Commons, it means you can use it in your trailer as long as you follow some simple steps. See the Copyright and Creative Commons page for more information, as well as a list of sites you can retrieve copyright-free images and clips from.